Just was born on August 14, 1883, in Charleston, South Carolina. His father died when he was young, and his mother, a schoolteacher, supervised his education. She enrolled him at a college preparatory school in New Hampshire, highly unusual for an African American at that time; he excelled at academics, edited the school newspaper, and served as president of the debate team. He entered Dartmouth College, the only African American in a freshman class of 288 students. After taking every biology class offered, he graduated in 1907 and was elected to the academic honor society Phi Beta Kappa. Upon graduation, Just gained a teaching position at Howard University in Washington, D.C. He taught zoology and physiology, and his busy schedule left him no time for research. 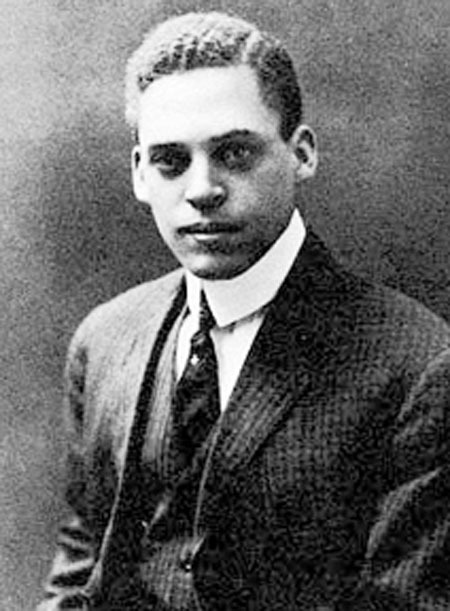 However, he began graduate work at the Marine Biological Laboratory in Woods Hole, Massachusetts, during the summer of 1909 and continued to spend summers there conducting research for the next 20 years. At Woods Hole, Just studied the fertilization process and early embryological development of marine organisms. In 1915 his first results, which showed how the developmental orientation (the positioning of the head and tail ends) of the fertilized egg is established, earned him the first Spingarn Medal awarded by the National Association for the Advancement of Colored People. Just received a doctorate from the University of Chicago in 1916. Just subsequently studied parthenogenesis, the development of egg cells without fertilization, a process possible in sea urchin and frog eggs. Exposing various invertebrate eggs to altered concentrations of salt­water solutions and acids, Just formulated innovative theoretical explanations for parthenogenesis. In 1939 Just published The Biology of the Cell Surface, which outlined the results of his research on cell biology. At the time, it was believed that the nucleus controls all the activities of the cell. Just hypothesized that the cytoplasm, which refers to all the material inside a cell except the nucleus, plays an important role in directing a cell’s behavior with respect to fertilization, development, and heredity. Just’s achievements earned him membership in many scientific societies, including the American Society of Zoologists, of which he became vice president. He believed that racial discrimination prevented him from being elected to the National Academy of Sciences, and he is said to have become increasingly bitter about such injustices during his career. Seeking opportunities beyond the limited ones available to African ­American researchers in the United States, Just spent time working in European laboratories after 1929. He died in Washington, D.C., on October 27, 1941. Just’s work contributed to the progress of embryology and developmental genetics, fields that are crucial to the modern understanding of biological systems. The study of developmental processes, which occur in both embryos and adult animals, offers a framework for addressing problems in such diverse areas as physiology, immunology, fertility, evolution, ecology, and cancer research. Just’s discoveries led to the recognition that immediately after fertilization, the egg loses its ability to fuse with any other sperm. It was later shown that this blockade is achieved by a change in the electrical potential across the egg­cell membrane. This proved crucial to producing the appropriate conditions for in vitro fertilization. In Just’s later years, other scientists were beginning to investigate genetic mutations in order to understand developmental events. Just criticized them for emphasizing the development of specific characteristics, such as eye color and wing shape (in fruit flies); he advocated instead a search for the mechanisms involved in how an embryo determines the overall body plan. Just was ahead of his time, for it is only in the 1990s that the tools of molecular technology have revealed the answers to such questions, including evidence supporting his insistence on the active roles of cytoplasm. Posted on March 8, 2015 by Natalie. This entry was posted in Biologists. Bookmark the permalink.